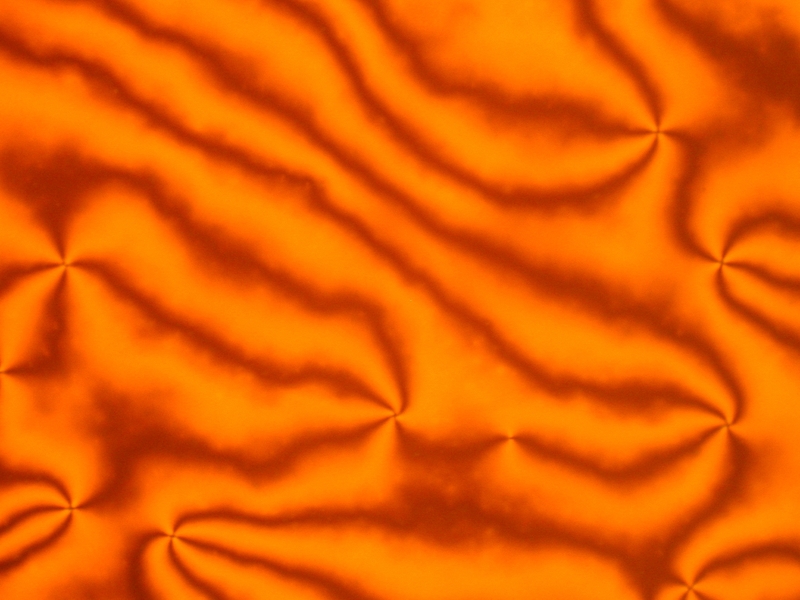 This is what the nematic phase of the chromonic liquid crystal Sunset Yellow FCF looks like in a microscope between crossed polarizers. The preferred direction of orientation varies throughout the image, but the image is dark whenever it is parallel to one of the polarizers. The color is due to the fact that Sunset Yellow FCF is a common food dye and absorbs part of the visible spectrum. 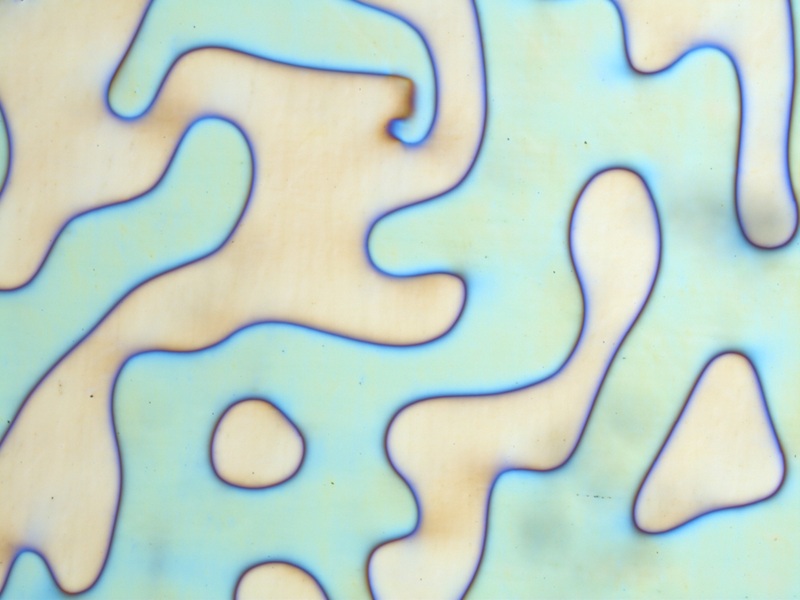 If a nematic liquid crystal is placed between two pieces of glass that are treated so they orient the liquid crystal at right angles, the preferred direction rotates 90° from one glass surface to the other. Two types of twist domains form because this rotation can be clockwise or counter-clockwise. The chromonic liquid crystal is di-sodium cromoglycate and a lambda plate has been added to the micrscope to give the domains different colors. 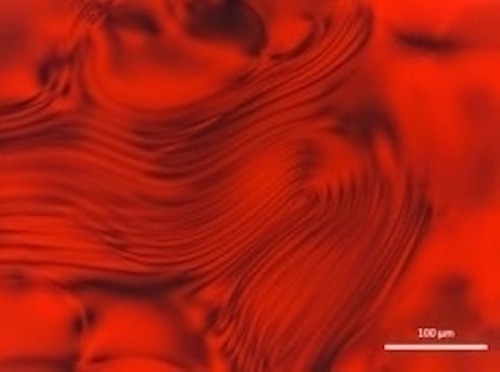 If chiral molecules are added to a nematic liquid crystal, the preferred direction rotates in helical fashion. If the axis of rotation is in the plane of the cell and the distance over which the preferred direction rotates a full turn is large enough, these rotations can be seen in a polarizing microscope. The figure shows the chromonic liquid crystal di-sodium cromoglycate doped with a small amount of L-alanine viewed under red light.